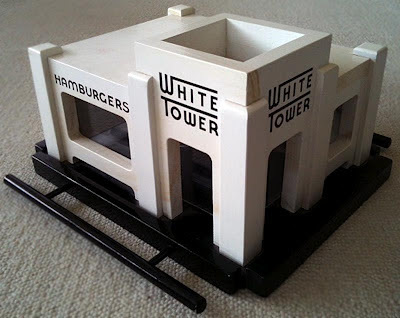 An encounter and subsequent purchase of a birdfeeder in the shape of a White Tower restaurant got me thinking about what other building-shaped birdfeeders might exist. 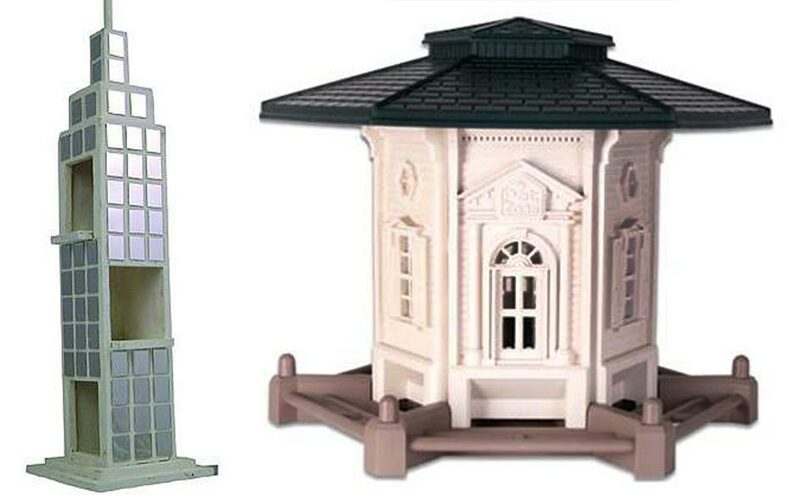 I did some Internet sleuthing and discovered a variety of designs from modern houses to skyscrapers to towers. Similar, but not as well known as White Castle, White Tower Restaurants were founded in 1926 and served five-cent hamburgers mostly on the east coast and mid west. 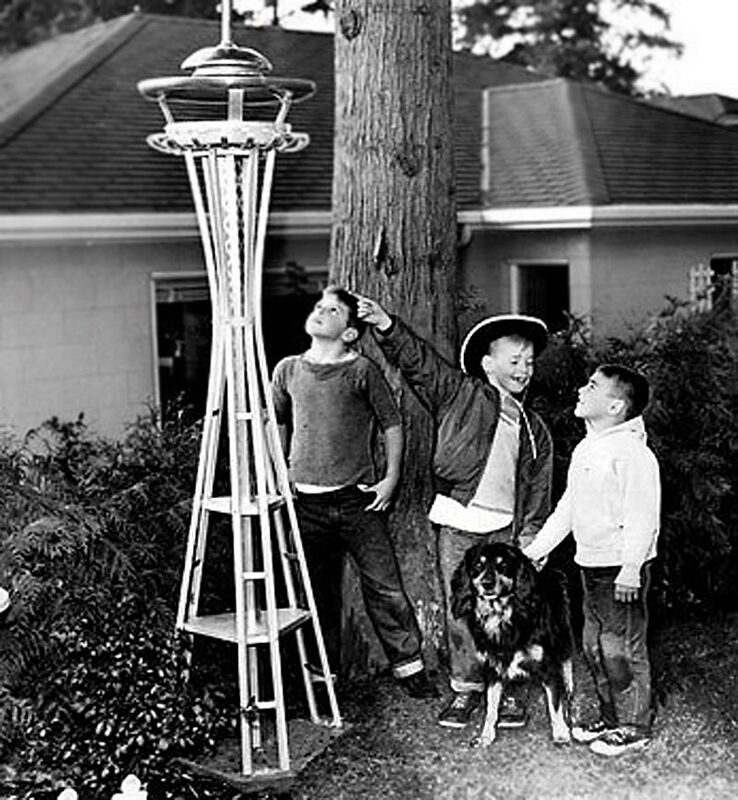 Seattle’s Space Needle, the 1962 World's Fair's emblem of a "sky's-the-limit" future, became popular with local residents. Seattleites build all sorts of replicas, including Otto Horschuch who constructed an aluminum bird feeder in the shape of the famous landmark. Some birdhouses are mass-produced of plastic. While others are hand crafted including a replica of the Empire Building is both a nesting box and a bird feeder and is Located in historic courthouse square in Santa Rosa, California. A contemporary house styled birdfeeder is sleek and white. I’ve written in the past about architectural birdhouses.